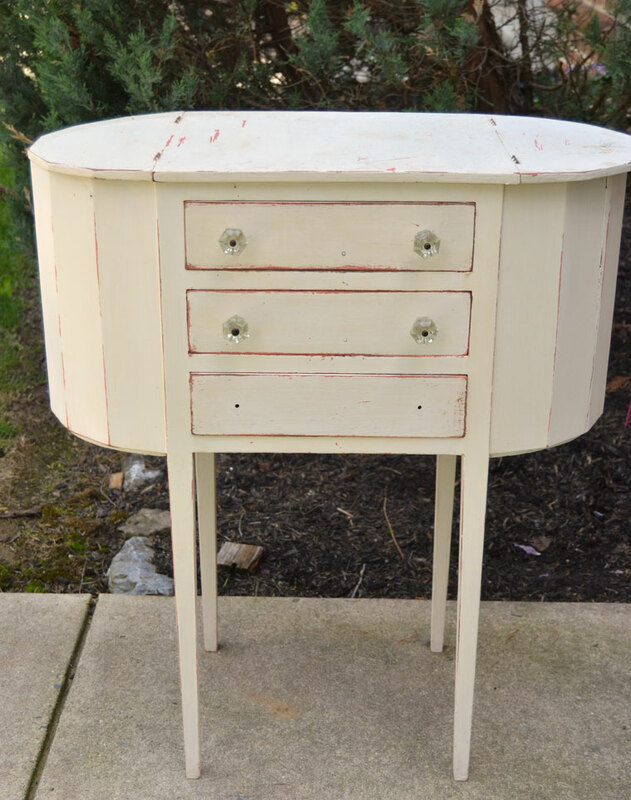 Transforming furniture with chalky style paint is a hot trend. In fact I don’t think it can be called a trend anymore. It’s just another type of paint. Af first, manufacturers of this type of paint would like to say that prepping is not required. Like sanding, stripping or priming. But I believe that some type of prep is required no matter what type of paint that you use. 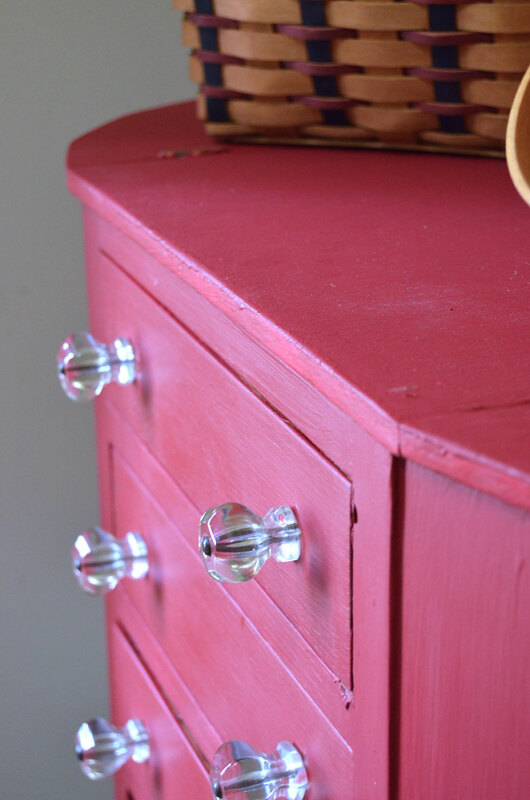 Today I want to show you how to make homemade chalky style paint. In fact, there are several “recipes” for making your own chalky style paint. Since I’m a pretty impatient-want-to-get-it-done-now kinda girl I researched the various homemade “recipes” for chalky style paint and decided to make homemade chalky style paint using baking soda. I mixed a small amount of warm water into the baking soda until it was dissolved and added it to my sample size paint. 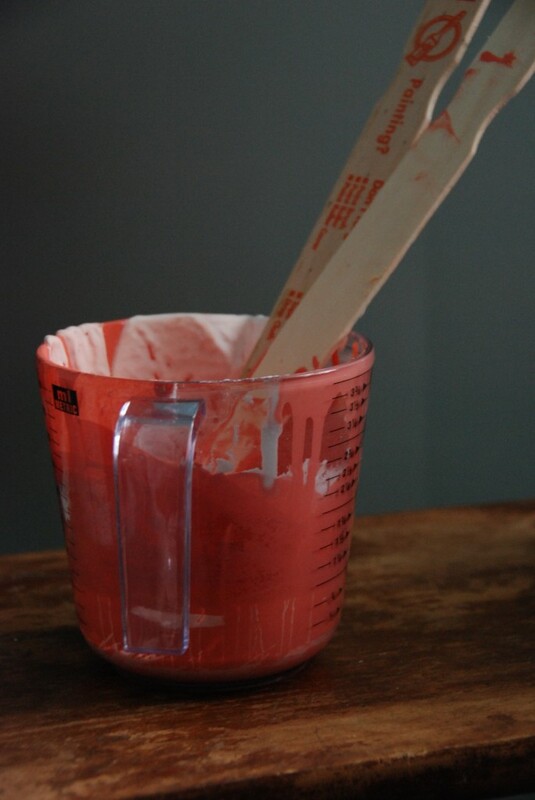 I don’t really have a recipe for exact amounts but for one cup of paint, I would start out with a few tablespoons of warm water added into a 1/4 cup of baking soda and stir that into the cup of paint. This is the piece that I painted. This sewing cabinet has seen years of use and abuse, so I was sure I couldn’t hurt it. And bonus! 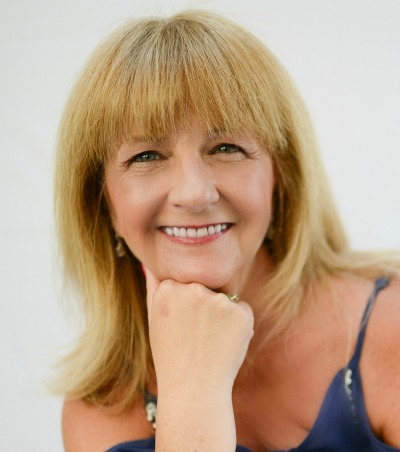 – the knobs appeared to glass hidden under years of dirt! 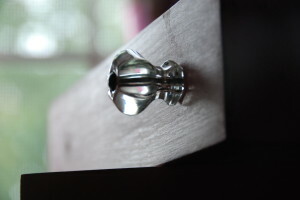 Love glass knobs. I got the glass knobs sparkling again by simmering them in a post of water. This removed the layers of paint and years of grime. Before painting, I removed the hardware and cleaned the cabinet with a degreaser. As per the many articles read, I applied three coats of paint, sanding between coats and finished off with applying paste furniture wax and then buffing it really well. *Update: this piece has since been repainted twice. But not before it looked like this for a month or so. Yes, this old piece has had more than it’s share of experimental paint layers. 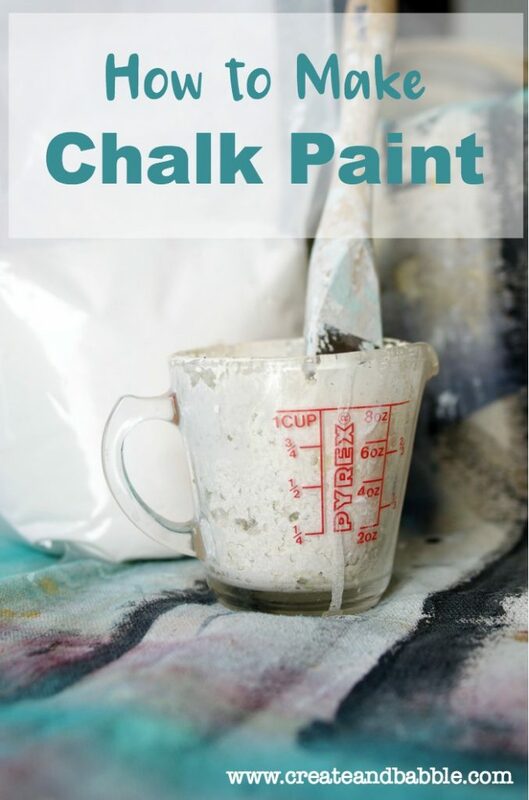 There are a few other chalky paint recipes out there. A popular one is made with Plaster of Paris. My good friend Gail from My Repurposed Life uses a DIY Chalky Paint Primer made with Plaster of Paris all the time and swears by it. She even uses it in her HomeRight Paint Sprayer. 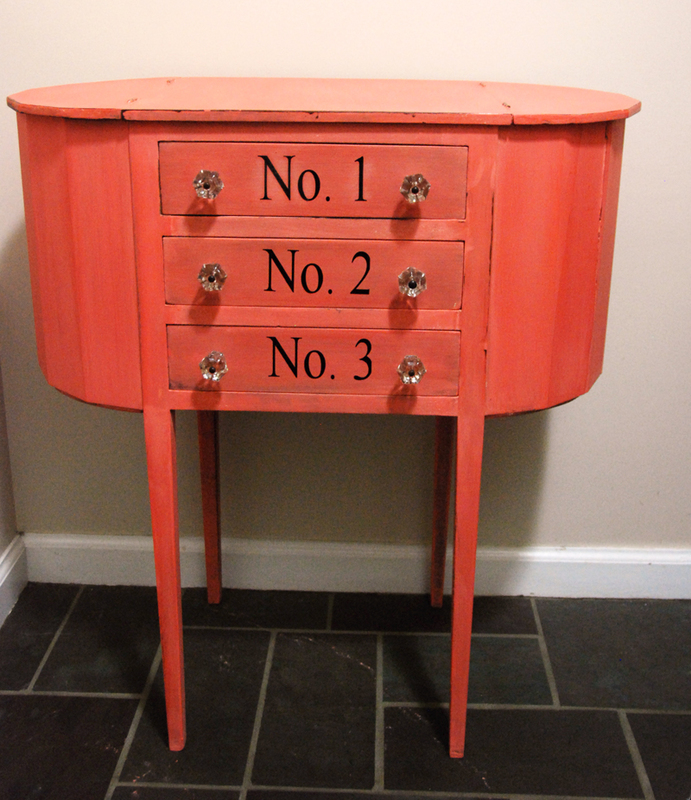 I’m going to give that a try on the next piece of furniture that I want to paint. I have also heard good things about a chalky style paint made using Calcium Carbonate Powder. which is essentially chalk from what I understand. I haven’t tried this yet but have heard a lot of good things about it. So this recipe from Refresh Living is going on my list to try too. Have you tried any of these homemade chalky style paints? I’d love to hear about your experience with them. Do you have a favorite? How much water and baking soda did you use? Hi Connie. I started with a ratio of 2 parts baking soda to one part water and adjusted from there. I used a wire whisk to mix it thoroughly. I have since read that some have used an electric mixer. 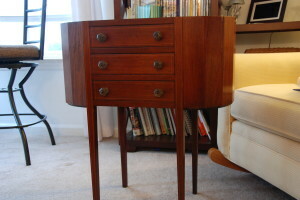 I’ve always loved that sewing cabinet! I’ve never seen another one like it. 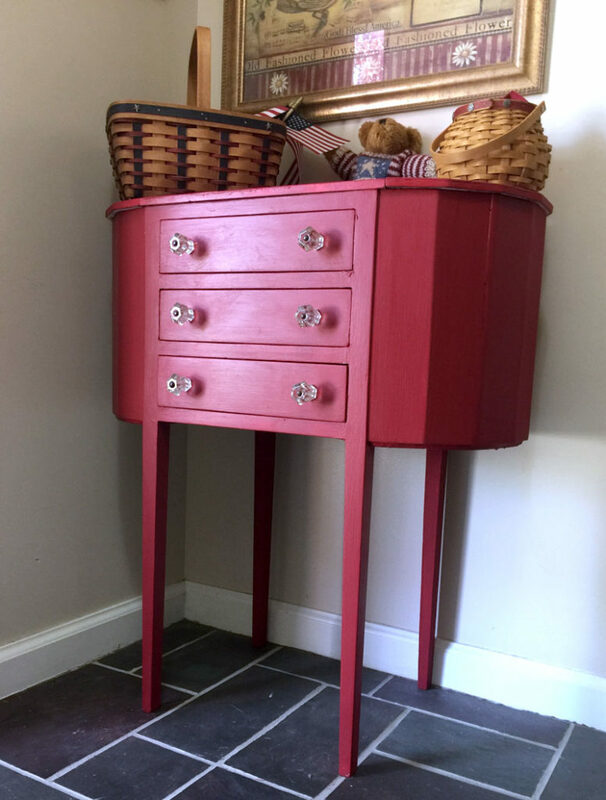 Thanks for sharing my chalk paint primer recipe. The best thing about it is that you can make the primer the same color that will be the topcoat. 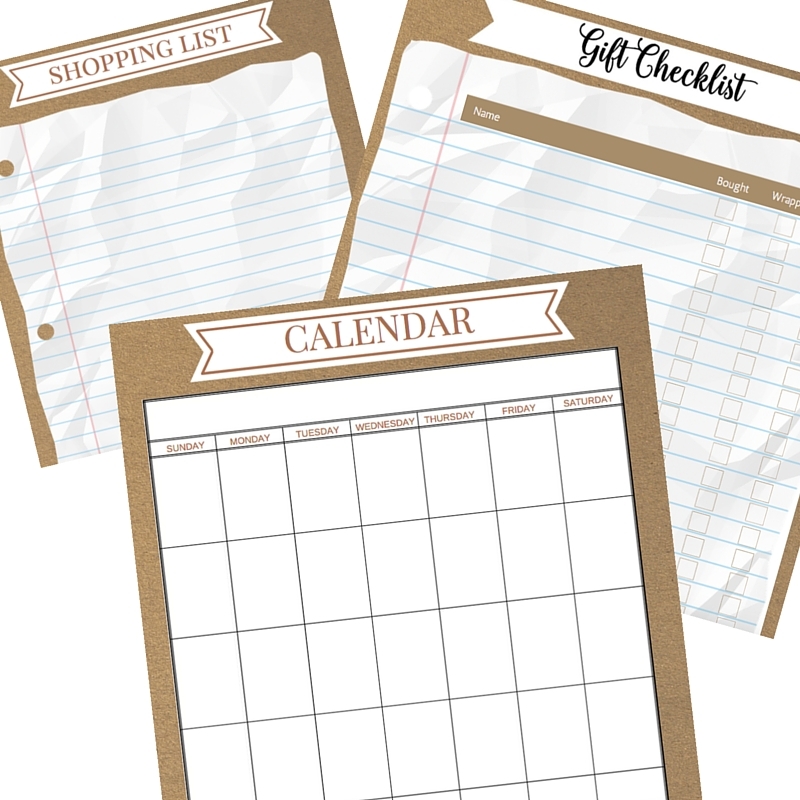 That’s great for red and other hard to cover colors. I use it on 99.9% of all of my projects. I don’t even measure, I just know how to get it right now. 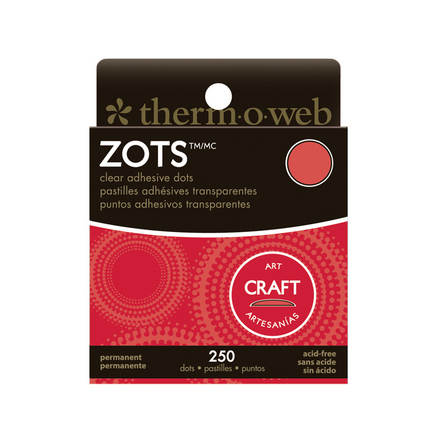 Question #1 The chalky finish paint I see you using alotwhat are the properties like, what are your thoughts in comparing it to other paints like acrylics?